With a mortar and pestle, crush 1/4 t black peppercorns, 1/4 t celery seed, 1 t salt, 1/8 t cayenne pepper, 1/8 t paprika and 1 bay leaf. Set the spice mix aside and next peel and devein 12 oz. of shrimp. Reserve the shells and the shrimp separately. In a large pot, mix the spices with 2 c of water and bring to a boil. 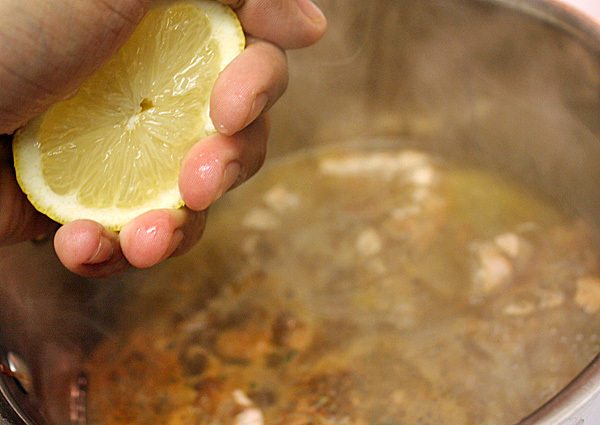 When boiling, squeeze the juice of 1/2 lemon into the pot and then add that half to the broth as well. 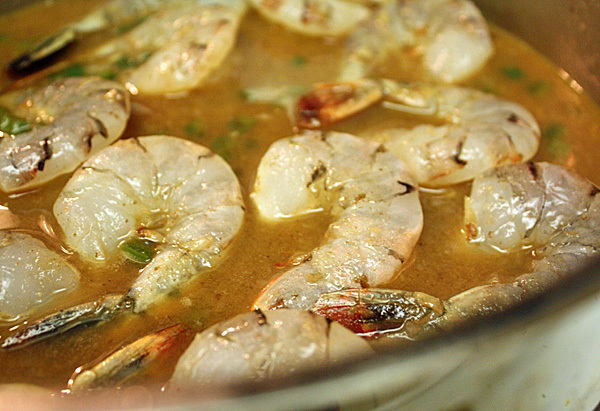 Add the shrimp shells, reduce the heat to low and simmer for about 20 minutes. When done, strain the broth and reserve. Next, the grits. In a medium pot bring the 1 c of water and 1 c of milk to a light boil, being careful not to let the liquid boil over. Add 1 t salt and 1/2 t pepper. 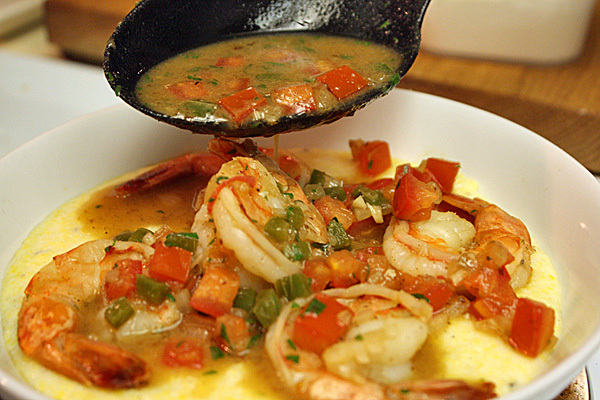 When the liquid comes to a boil, add grits and reduce the heat to medium, stirring occasionally until they begin to thicken (5-10 minutes depending on if you’re using quick-cook grits or not). 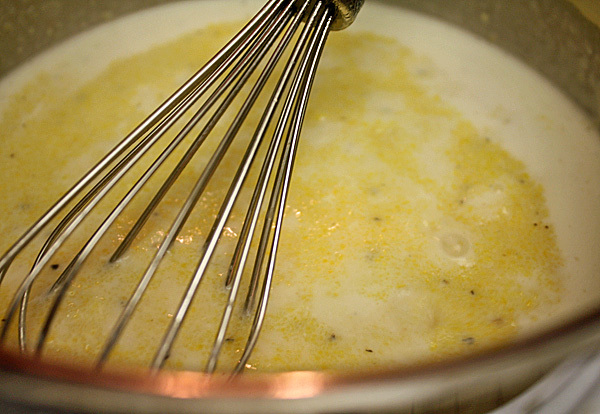 When they begin to thicken, reduce the heat to low and stir occasionally until they become fluffy and creamy, adding water as necessary if they get too stiff. Reserve until you need them, keeping the pot on minimum heat, and if they start drying out, just keep adding a little bit of water at a time until you’re ready to plate. In a large saute pan over a medium heat add 2 oz. 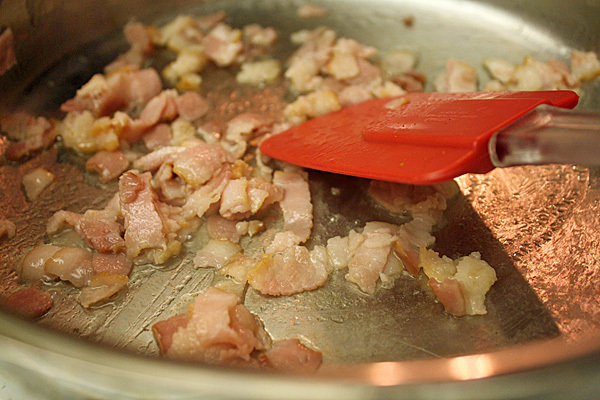 of bacon and cook until the fat renders and the bacon is crispy. Remove the bacon and reserve. 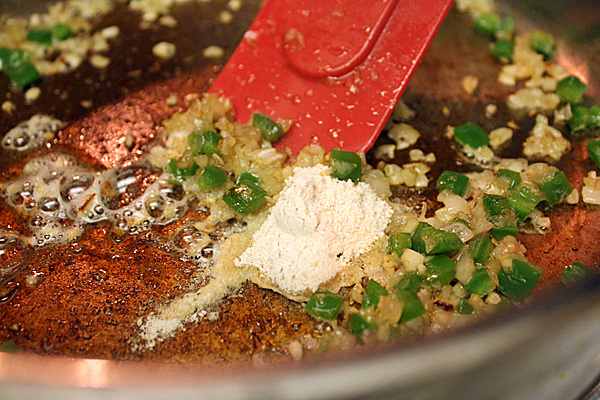 To the pan add the chopped shallot, garlic and jalapeno. Cook 2-3 minutes until the vegetables soften. Add 1 1/2 t of flour and stir until incorporated. 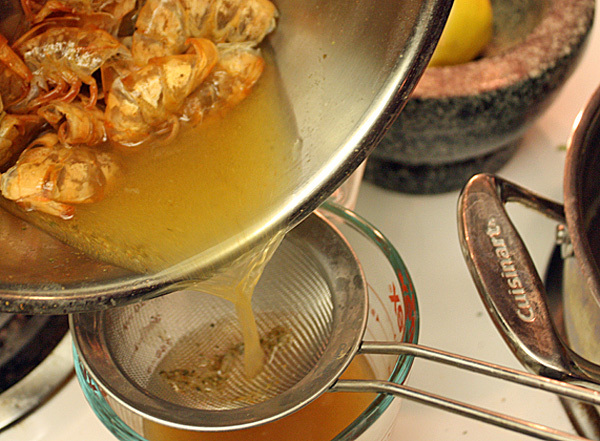 Add the reserved shrimp broth, stir to incorporate and once it comes to a simmer it should begin to thicken. 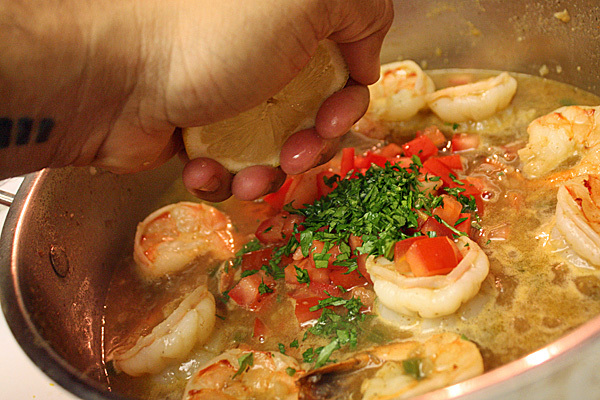 Add the shrimp and cook for 2-3 minutes until the shrimp are pink and cooked through. Finish the sauce with the tomato, parsley, and squeeze the juice from the remaining 1/2 lemon. Season with salt and pepper to taste. 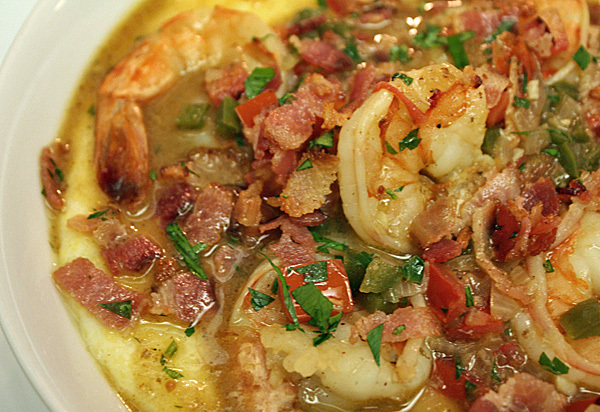 To plate: Split the grits between two shallow bowls and top with 1/2 of the shrimp and gravy. Top with reserved bacon, and a hit of fresh parsley if you want a little more color on top.